The show promises to provide some interesting topics from the future of storage technology and viability, to the interpretation of the new DOER rule making on the successor program to SREC II. Specifically, MA’s New Solar Incentive Program & What it Means for the Legislative Session upcoming. Since this is a regional show most of the focus will be on the biggest market which is Massachusetts. There will be some discussion on the NY REV program in New York and how that will ultimately be implemented, as well as tons of discussion on community shared solar. There will also be a discussion on new opportunities for solar in the smart grid. 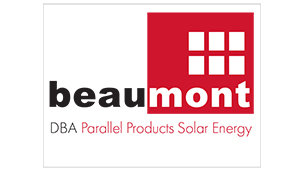 Please also look for an announcement from Beaumont Solar at the conference regarding one of our most recent success stories that took some great experience and engineering skill as well as solid work efforts to pull this project off on time and on budget. We are very proud of the team and the end results.